All Tiffany bases throughout our website are available separately - ask. 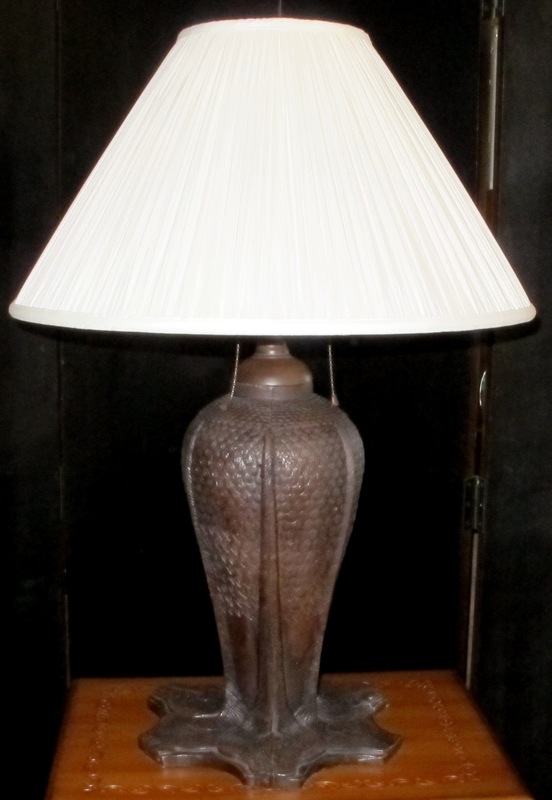 We have or we can make the correct base for any Tiffany table and floor lamps as well as many others, any size or finish. Additionally, all lamp bases that you see on our website are available separately from the shade including Tiffany and all other bases. Bases shown on our website can be altered, shortened, lengthened, custom finish, etc. per your requirements. We make most any custom lamp and lighting imaginable. We are a full service comprehensive lamp shop. Email us for a quick price quote. Can be finished bronze, gold, antique or any custom finish. These are some of the bottom bases that we use on table and floor lamps. Email or call us for measurements, prices and quantity.